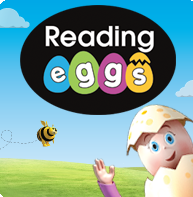 Multi-Lit - Quicksmart - ERIC - OLSEL - Mathletics - Reading Eggs and more! The Hub has evolved into a really important part of the school. Situated between two of our classrooms, The Hub is home to our intervention programs. The school offers both Reading Eggs and Mathletics to all students in the school to extend their literacy and mathematical learning. Quicksmart is a maths intervention that assists students to cement solid number skills prior to entering secondary school. Over twenty students have accessed these programs this year (more than a third of the school). The programs have allowed our LSO staff (formerly known as Aides) to utilise every minute of their time assisting the school with its core business: the attainment of literacy and numeracy. Increasingly, we have students that require support in managing their wellbeing. Just as we do for literacy and numeracy, we offer some students one on one support in learning strategies to deal with life's challenges. We have many students work with our speech pathologist and our psychologist, who are scheduled to visit us monthly, or as required. Both specialists work in conjunction with our Special Needs Coordinator.